The first and definitive biography of an audacious adventurer—the most famous journalist of his time—who more than anyone invented contemporary journalism. 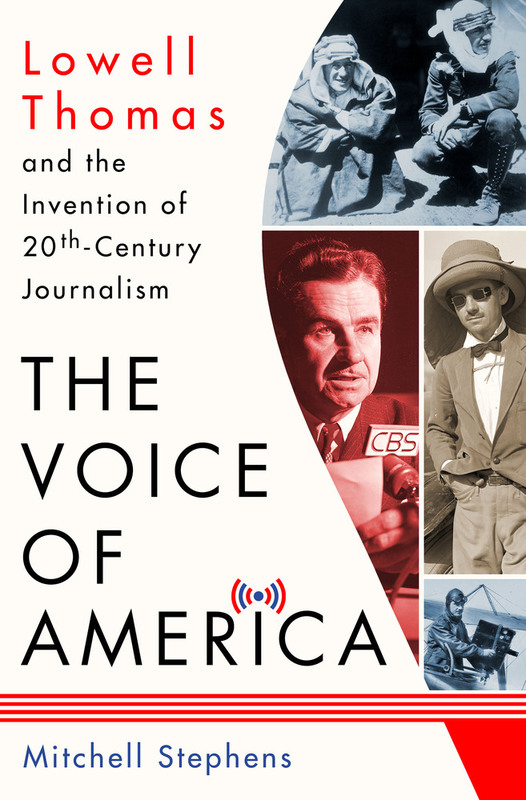 Tom Brokaw says: "Lowell Thomas so deserves this lively account of his legendary life. He was a man for all seasons." In 1930, Lowell Thomas began delivering America’s initial radio newscast. His was the trusted voice that kept Americans abreast of world events in turbulent decades – his face familiar, too, as the narrator of the most popular newsreels. His contemporaries were also dazzled by his life. In a prime-time special after Thomas died in 1981, Walter Cronkite said that Thomas had “crammed a couple of centuries worth of living” into his eighty-nine years. Thomas delighted in entering “forbidden” countries—Tibet, for example, where he met the teenaged Dalai Lama. The Explorers Club has named its building, its awards, and its annual dinner after him. Journalists in the last decades of the twentieth century—including Cronkite and Tom Brokaw—acknowledged a profound debt to Thomas. Though they may not know it, journalists today too are following a path he blazed. In The Voice of America, Mitchell Stephens offers a hugely entertaining, sometimes critical portrait of this larger than life figure. Mitchell Stephens, a professor of journalism in the Carter Institute at New York University, is the author of A History of News, a New York Times “notable book of the year.” Stephens also has written several other books on journalism and media, including Beyond News: The Future of Journalism and the rise of the image the fall of the word. He also published Imagine There’s No Heaven: How Atheism Helped Create the Modern World. Stephens was a fellow at the Shorenstein Center at Harvard’s Kennedy School. He shares Lowell Thomas’ love of travel and had the privilege of following Thomas' tracks through Colorado, Alaska, the Yukon, Europe, Arabia, Sikkim and Tibet.